Birzeit University expresses its grave concern over and denunciation of the raid on its main campus by Israeli occupation forces in the early morning hours of Thursday, December 14, 2017. Such attacks and harassment constitute clear violations of Palestinians’ right to education. At dawn, a large number of heavily-armed Israeli forces forced their way onto the university campus, entering the headquarters of the student council in the Sheikh Rashid Bin Said Al-Maktoum Building, Kamal Nasir Hall, and the Faculty of Science, and confiscating students’ flags and banners. The Israeli occupation has repeatedly impeded the work of Palestinian universities, especially over the last two years. In June 2014 and January 2016, the Israeli occupation raided Birzeit University and confiscated materials from student bloc offices. Attacks on university property should be seen in the context of arrest and harassment of our students and staff, restrictions on movement that prevent all Palestinians from accessing education, limits on access by international guests and academics, attacks on other academic institutions, and the years during the first Palestinian uprising that the university was closed by military order. 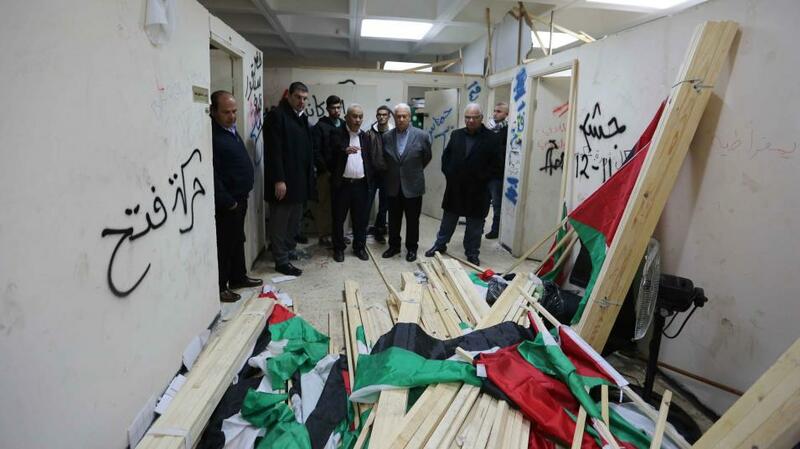 Birzeit University views this attack as a dangerous aggression against academia and Palestinian students. The university aspires to live by the values of democracy, freedom of speech and respect for human rights, and these violations will not deter its commitment to higher education, and the pivotal role it has played since its establishment. The university calls on academic institutions and human rights organizations to advocate for an immediately stop to these raids and violations, and actively support the Palestinian struggle for liberation. This attack is the latest in a series of moves by Israel and the United States that undermine the Palestinian cause, the most prominent of which was the recent recognition of Jerusalem as Israel’s capital by U.S. President Donald Trump and the decision to move the United States embassy to the city. This act supports the Israeli occupation’s ongoing human rights and international law violations against the Palestinian people and their academic institutions. Birzeit University will always continue to play its academic role and carry out its noble educational vision, despite these violations. The university seeks to benefit all Palestinians, and ultimately all of humanity through its academic mission and activities.